Maryhill Manor in Niagara, Wis., donated bronze level support the Northern Lights YMCA Dickinson Center’s Annual Campaign. 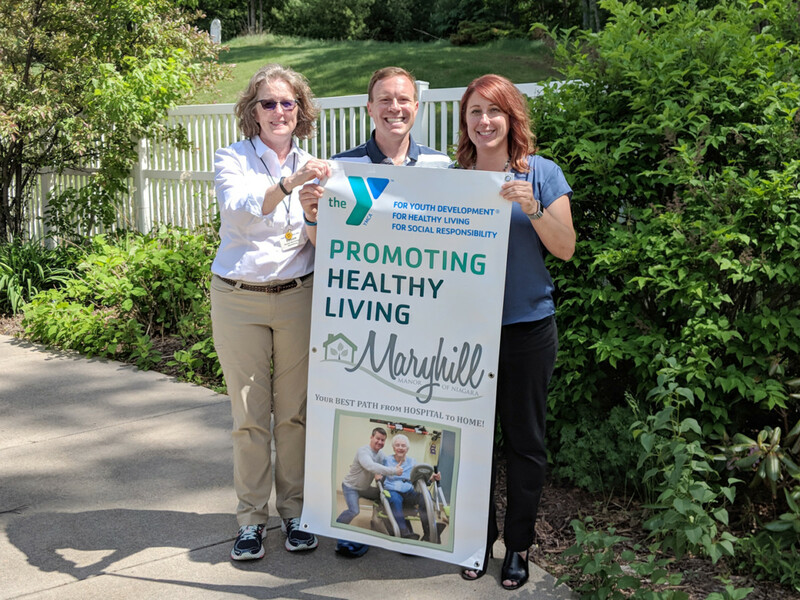 From left, Maryhill Manor Marketing and Social Services Director Susan Maloney, YMCA Center Director Jonathan Ringel, and Maryhill Manor Administrator Michelle Grailer display a banner of support that will be hung at the YMCA. The mission of the YMCA is that all are welcome to join in youth development, healthy living and social responsibility, and Annual Campaign dollars directly support scholarship memberships and programming opportunities for over 400 community members annually. The YMCA did not conduct a public Annual Campaign this year due to the ongoing Capital Campaign to renovate and update the Crystal Lake Community Center Building. But each year, the YMCA distributes more than $200,000 in membership and programming value to the community thanks in part to Annual Campaign contributions.